On the general topics, ramblings, and whatnot. 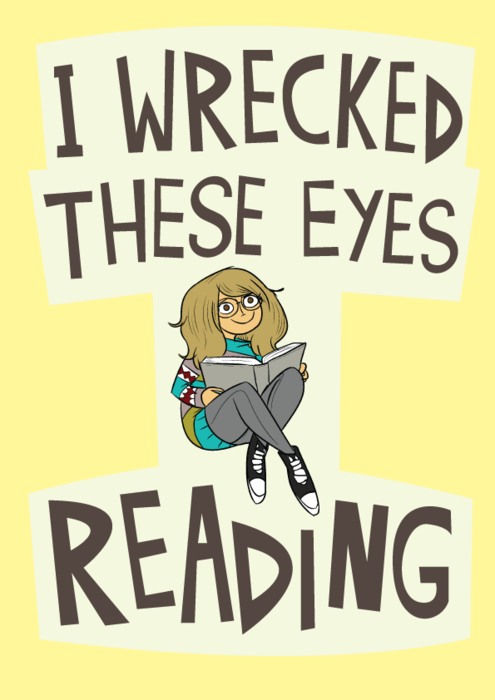 Okay, but most of the reading I did when I was young is not the same kind I do today. When I was younger, having eyeglasses were the cool thing and I thought it looked nice on me, but my parents don’t want to get me those fashion glasses. I figured the only way I can get glasses is to make me need it. We used to have a lot of power outages when I was a kid, so I would read some of my school books by candle light, or read while I was lying down. Come 5th grade, I had my eyes checked and I finally got my glasses. Now I’m sort of regretting wrecking my eyes. :P I think the amount I spent on glasses, contact lenses and lens solutions is more than the cost of waterproof cameras. I’m not regretting the reading, though. So. Who else have wrecked their eyes reading here? Say aye! I tried to keep up with the daily word count quota of 1667 words per day starting November 1, but by November 5, I started to fail. Why? Well, by first write-in, I realized that my original idea is not heading anywhere. So during the first write-in (Day 5), I decided to start again with the same story idea but pushed it back a few decades so instead of my story being set post-apocalypse (yeah, I was trying to write a dytopia novel :P), it was set during the apocalypse. So by the second write-in (Day 7), I was at a loss. I knew if I continued writing my novel, I would hate it and I would end up slaving over it and I would never, ever want to see it again. I needed to do something about it, but I’m not sure if I could still stick with the story. I was also toying with the idea of writing what I know, particularly, what I read. Not fanfiction, of course, but you know, writing a genre that also want to read. By the night of Day 7, I was toying with the idea of starting my novel from scratch and going for a genre that I have been reading all year: young adult. I mean, the reason I wrote chick lit a few years ago was because I kept on reading them. 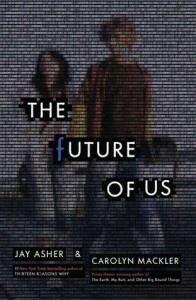 So why wasn’t I reading a young adult novel this year when practically all that I have read last year was young adult? So by Day 8, I decided to try writing the start of a contemporary young adult novel I have been toying with since last year. And…I decided to stick with it. I started my word count from zero and worked from there. That’s why there was a sudden decline in my word count — I couldn’t really include the ones I’ve written for that other novel in this novel because I didn’t think it was fair. So with a new word count quota (2300 words a day), I set to work. The new novel is easier to write and definitely more fun. I guess reading all those contemporary YA novels really helped because it was so easy to get into the world now (especially since I have set the story in my college alma mater — will change that during edits, but for now this should work). It was easier to write that I managed to get 9,000+ words in a day (Day 12-13), and by Day 17, I finally passed daily word count quota. This is the first time in my eight years (!!!) 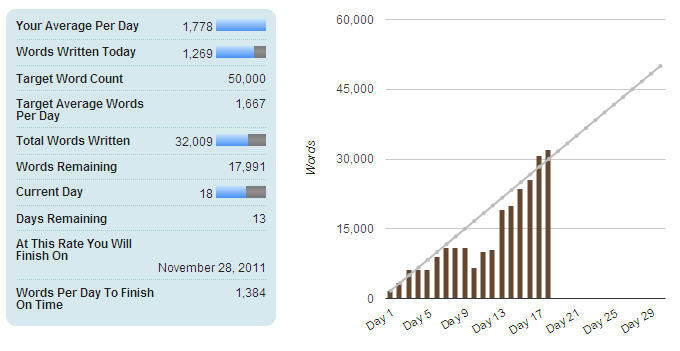 of doing NaNoWriMo that I changed stories within the month. It was still early when I did that, so it didn’t really make that much of a difference, and I am confident that I will get to 50k words this month. Of course, my story would be far from finished by then, but still, at least that’s a NaNo win. Let’s also hope that I actually finish this novel too, yes? “What should I write about?” is a hard question. “What would I like to read about?” is easier. The answers will be the same for both. Yep, I’m doing exactly that. :) I am at 32,000+ words as of today. See you at the finish line! I should be writing my novel but you know how I love procrastinating sometimes? 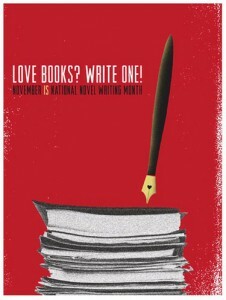 Maybe next year I should be a NaNoRebel and write a year’s worth of blog posts (or something like that) for NaNoWriMo. Hm. 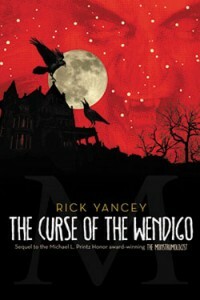 The Curse of the Wendigo by Rick Yancey. 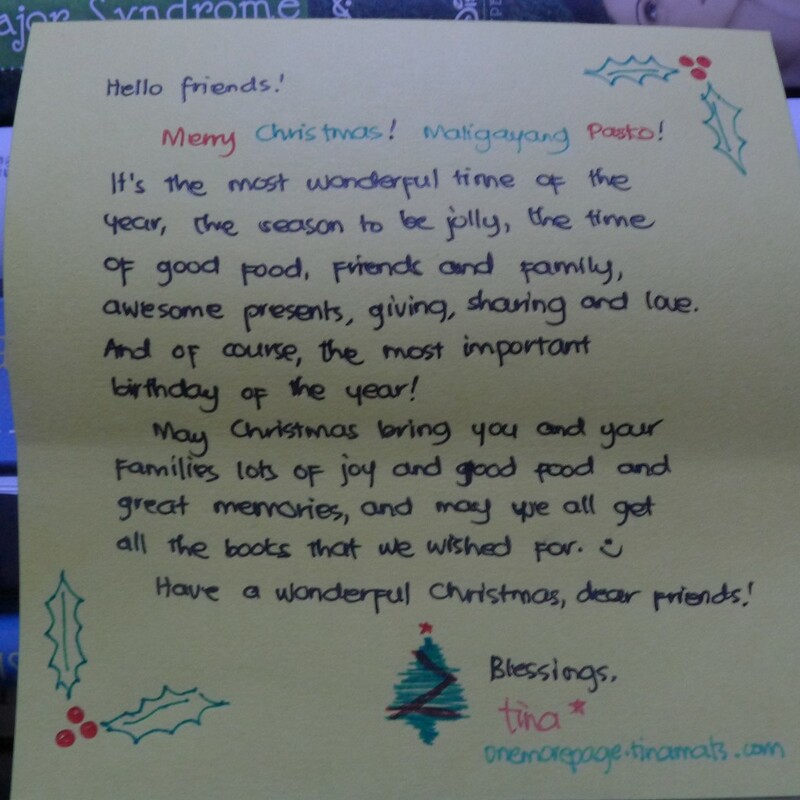 I was semi-bullied into reading this (haha, hi, Aaron and Tricia! ), but if they did not do that, I probably would not have started reading this anytime soon. I really liked The Monstrumologist so jumping in to this one soon enough after reading that was actually a good idea because the characters were still fresh to me. So far this has been creepier than the first book, but also quite funny and sometimes heartwarming. Also, Hallowed by Cynthia Hand (!!!). 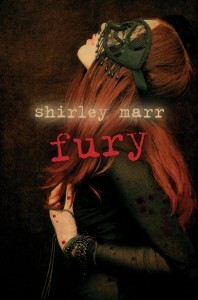 :) Got this from Netgalley and I’m reading it slow so I would get all the Tucker goodness. Seriously, if you ever read a paranormal romance novel ever again, pick Unearthly. It’s very, very good. 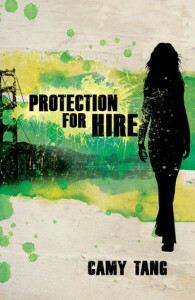 Protection for Hire by Camy Tang. 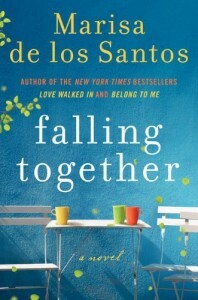 Okay this one I got from Netgalley too, but since I am on the author’s street team (you should join it, too), I knew about this way back and was expecting to receive an ebook review for this. :) Plus, I got an email that Zondervan has auto-approved me as a reviewer in Netgalley. I’m not sure if everyone gets that, but it’s nice to get that email. 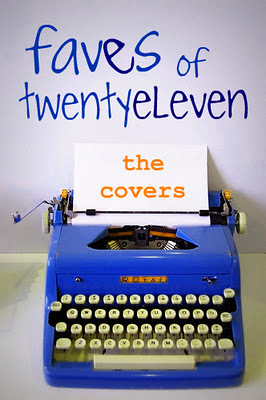 :) I cannot wait to read Camy’s newest book.